The windscreen of your car plays an important role in keeping you and other road users safe, and if you can’t see through it clearly it might be time to replace it. Your windscreen is exposed to a multitude of airborne objects each day, and although a flying bug might leave little more than a dirty smudge on your windscreen, harder objects can pit, chip, or crack your windscreen. Some of this damage can be repaired without the need for replacement, but there are strict requirements that dictate what kind of damage can be repaired, and also how many repairs a windscreen can be subjected to before needing to be replaced. But the environment can be just as taxing on your windscreen, with extreme temperatures affecting the windscreen as a whole, and worsening existing damage. Luckily there are some very obvious signs you can look for that will indicate you need to replace your windscreen rather than just have some of the damage repaired. Cracks or chips very close to the edges of a windscreen, along with cracks and chips that are in the driver’s line-of-sight or critical vision area, should see the windscreen being replaced rather than repaired. Repairs done to any damage in the driver’s line-of-sight can result in some distortion, affecting the driver’s view of the road, and cracks that start and end at the edge of the windscreen, or damage too close to the edge, can weaken the windscreen. 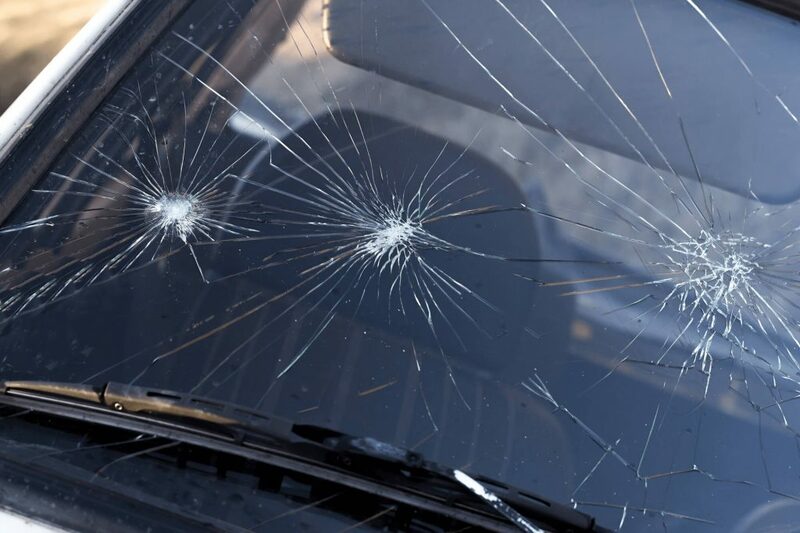 Additionally, any damage over a certain size should also result in the windscreen being replaced, and an autoglass specialist would be able to advise on this. This can be difficult to assess on your own in many instances and if you’re unsure you should ask an autoglass specialist to check it for you. Windscreens are made up of several layers of glass and protective films, and any chips or cracks that penetrate deeper than the outer layer will have affected the durability of the windscreen, making it unwise to repair. One to three small chips or cracks located anywhere outside of the critical vision area could be repaired depending on the size and depth. But more than that could again see the windscreen being weakened, and subject to shattering without any advanced warning. If you take your car in to have the windscreen repaired, an autoglass specialist won’t only assess the damage to be repaired, they will also look for evidence of past repairs that could make further repairs impossible. The laminated layers of a windscreen are what keep the glass from shattering into large, sharp pieces. These layers are bonded with the glass, but the bond can weaken over time, or as a result of other damage to the windscreen. If you notice white hazing in any area of your windscreen you should consider having it replaced immediately. The white haze occurs when the bond between the laminated layers and the glass has started to weaken or break down, putting you and other people at risk of serious injury if the windscreen breaks. Considering the importance of your car windscreen, and the risk it poses to you and to other road users if it isn’t in perfect condition, you shouldn’t tempted to repair it yourself, or use anyone other than an autoglass specialist. Our windscreen replacement doesn’t only come with a lifetime warranty on the work done but we are also able to properly advise you on whether your windscreen can be repaired safely – and within industry regulation requirements – or needs to be replaced in order to offer you the very best protection when driving.